Water Heaters | Reliance Plumbing Sewer & Drainage, Inc.
Water Heater Scaling: Should You Be Concerned? You may have heard the term “hard water” before, especially if you’ve ever read any of our other blogs. It can sound like a pretty intimidating term, in regards to your water quality, but fortunately it’s not actually harmful to your health (it’s another story for your plumbing system though, which we’ll get to below). Hard water describes water that has an excess of the minerals calcium and magnesium. And in your Glenview, IL water heater, this hard water causes a process called scaling—when the deposits are left behind inside the tank. In a faucet it’s fairly easy to get rid of scaling, but in a water heater it’s a different story. Posted in Water Heaters | Comments Off on Water Heater Scaling: Should You Be Concerned? No matter what season we’re in, and no matter what the temperatures are outside, there’s one appliance within your home that you need on a daily basis—and that’s your water heater. It’s easy to take this system for granted, until something goes wrong with it and you aren’t able to get hot water from your taps. 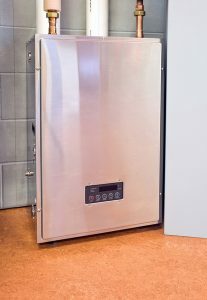 When you think about the amount of stress that a water heater goes through, you’ll understand that you can’t expect it to work 100% effectively throughout its entire lifespan, especially without investing in important Glenview, IL water heater services, such as annual maintenance and timely repairs. But aside from being alerted to repair needs during your tune-up appointment, how can you tell when your water heater is in trouble? Is It Time to Invest in a Tankless Water Heater? Has it come time to replace the water heater in your home? Perhaps yours has broken down, or you’re tired of paying for frequent repairs. Whatever the reason is that you’re looking to schedule a water heater replacement, remember that there are options to consider. There’s no rule that you have to stick with the same type of water heater you’ve always had. When it is time for your new Glenview, IL tankless water heater installation, you’d do well to consider a tankless water heater. There are a number of benefits to having a tankless system in your home, and we’ve highlighted some of those benefits below. Posted in Water Heaters | Comments Off on Is It Time to Invest in a Tankless Water Heater? Is Your Water Heater in Trouble? No matter what time of the year it is and no matter what the temperature is outdoors, there is one heating system you’ll always be using within your home—the water heater. It’s easy to take this appliance for granted, and the fact that you’ll get hot water from the taps whenever you need it. Think about the amount of stress a water heater undergoes though—it works 365 days a year. Therefore, you can probably understand that you can’t expect it to work 100% free of malfunctions throughout its entire lifespan. 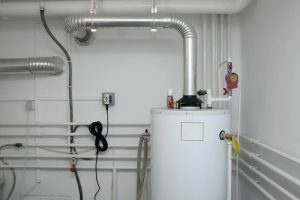 At some point, you might need to invest in professional water heater services in Wilmette, IL, in order to have your system repaired, or potentially even replaced. Of course, it helps to know the warning signs that something has gone wrong with your water heater, which we’ve covered below. Posted in Water Heaters | Comments Off on Is Your Water Heater in Trouble? Schedule Water Heater Maintenance Today! With cold weather here in Glenview, IL and only expected to get worse, you need hot water for your home to be more reliable than ever. The last thing you need is a water heater that can’t do the job, or worse: one that suffers a serious problem right when you need it the most. The best thing you can do to prevent such a problem is schedule a water heater maintenance session today. Not only will it allow your technician to spot a potential problem before it gets started, but will provide numerous other benefits designed to lower your bills and extend the life of your system. Here’s a quick look at some of the specifics. Posted in Water Heaters | Comments Off on Schedule Water Heater Maintenance Today!